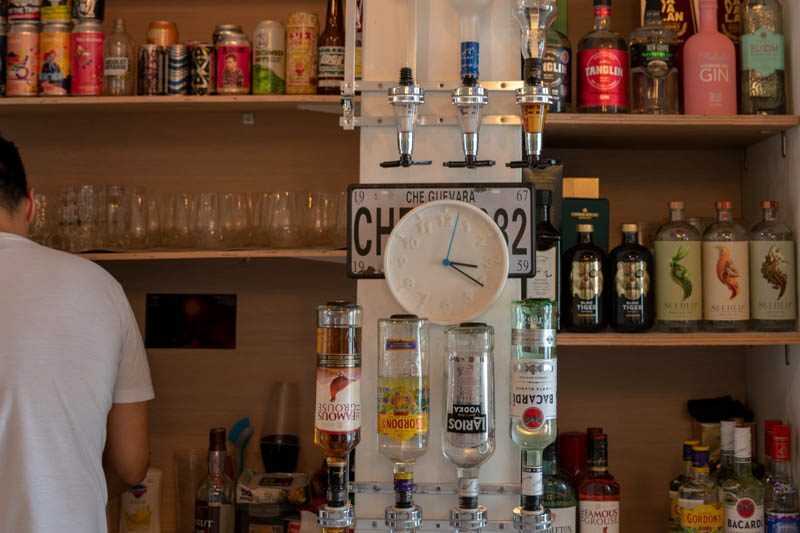 Nestled along a row of shops situated at the first floor of LINK Hotel, watering hole Canjob Taproom is a stone’s throw away from hipster haunt Tiong Bahru. An unassuming exterior belies a space fully stocked with craft beers and bottles imported from all over the world. Canjob Taproom admittedly was a little cramped when we went down. However, there is a small outdoor space at the back where you can catch some fresh air. 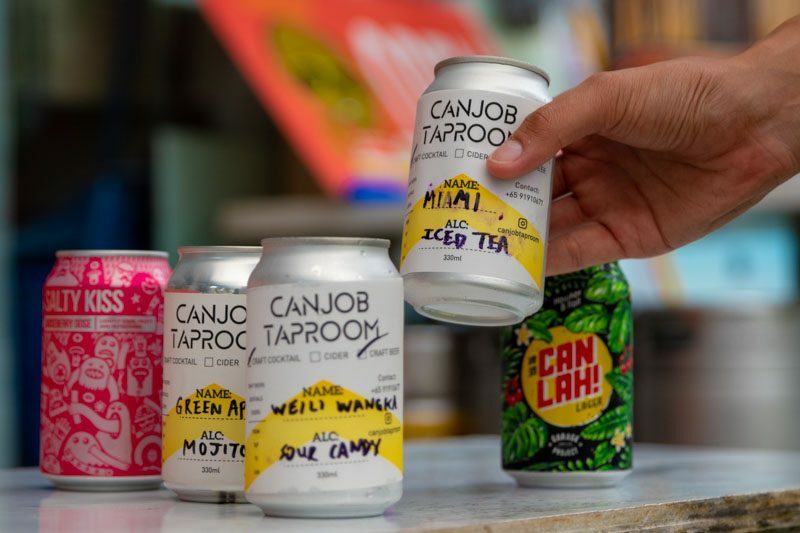 As implied in the name, Canjob Taproom is unique in providing their customers the option to take away their drinks in a personalised can on the spot, perfect for when you can’t finish that cocktail and want to bring it home. To put it in owner-bartender Fabio’s words, it’s like “dapao-ing bubble tea”. I personally see canning as a pretty nifty way to store your drink so that you can enjoy it from the comfort of your home. However, the canned drinks had a slightly bitter, metallic taste as compared to drinking it from the tap, which I personally didn’t like. I understand that this tends to occur to most beers when they are canned for extended periods of time. Canjob Taproom has another secret hidden up its sleeve though. On the menu are the draft beer cocktails — we had a Lagerito Limau Iced (S$15++) which features craft pilsner, white rum and mojito. Definitely give it a shot! 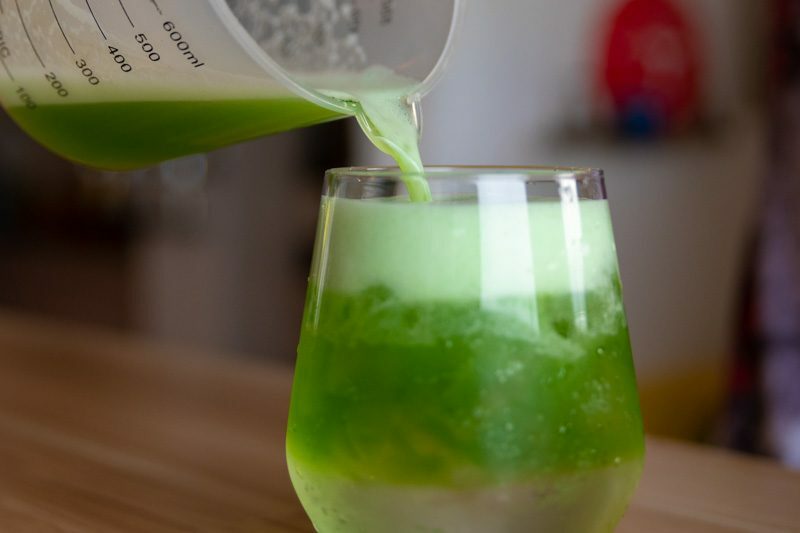 Our version was an Instagrammable, green, layered drink. As Canjob Taproom rotates the pilsner used on a regular basis, Lageritos might be slightly golden instead. Nonetheless, it was an interesting blend that I’ve never tried before; while I could still taste the earthy, wheaty hops, the mojito component’s saccharine sweetness negated the bitter taste characteristic of the beer. There was a hint of tangy green apple which made drinking this an overall enjoyable experience. We also tried the Miami Iced Tea (S$10++), which had a delicate peach colour. The drink was sweet and fruity and reminded me of sour candy which I thought was pretty unique. 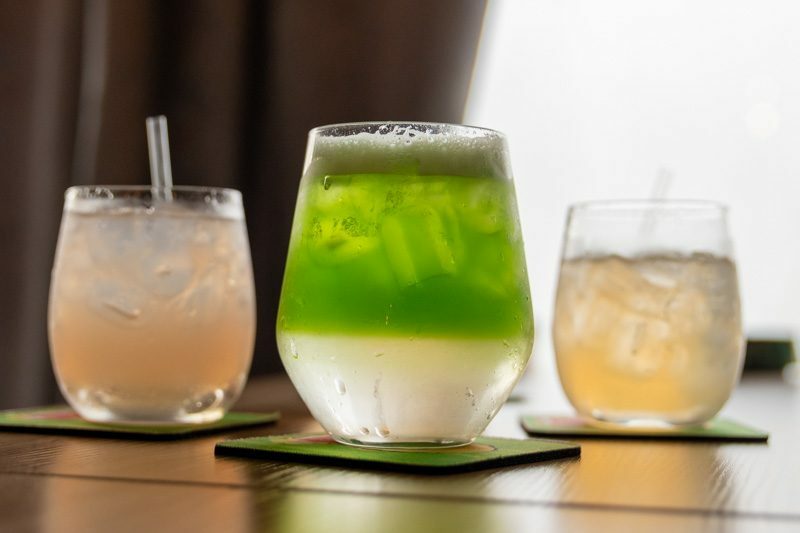 The alcohol notes aren’t that strong, but for those who enjoy heavier drinks, you do have the option to add an additional 30ml shot of hard liquor for S$5. Lastly, we sampled a few food items on offer. We had the Bratwurst Hotdog (Mild) (S$8++) which was pretty sizeable at 10 inches. Slathered in mustard and chilli sauce, it featured a crispy bun, as well as a bed of fried shallots which added some crunch and extra texture to the item. 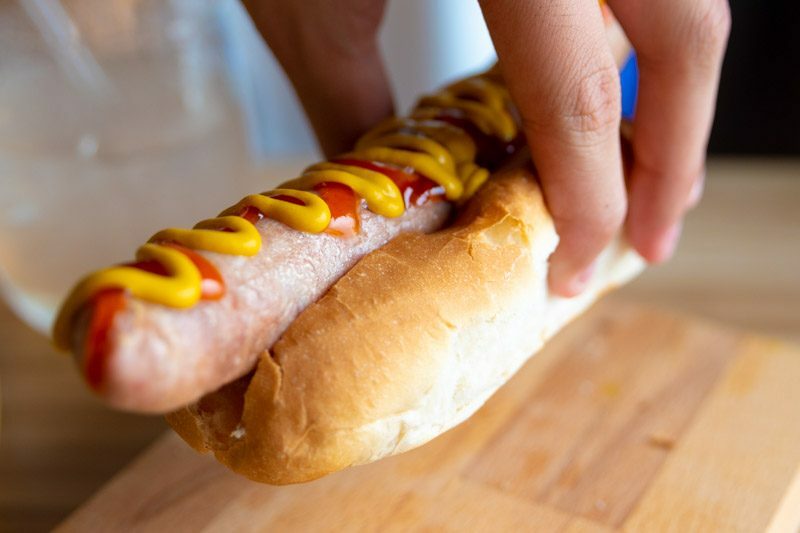 The bratwurst hotdog was supposedly pre-cooked in beer, however, I personally couldn’t taste anything of that sort. However, it did have a nice snap to it and was rather meaty and flavourful which I liked. 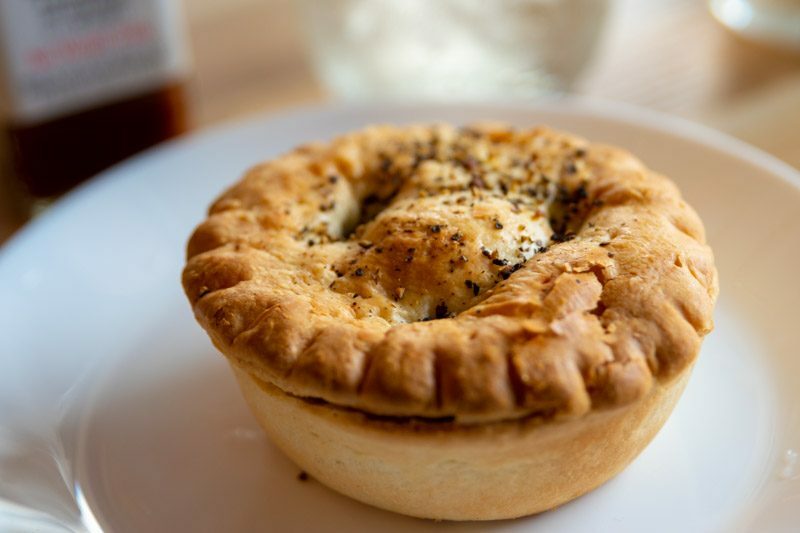 We also had the Classic Pepper Steak Meat Pie (S$8++), which was a little disappointing with its hard and dry exterior. 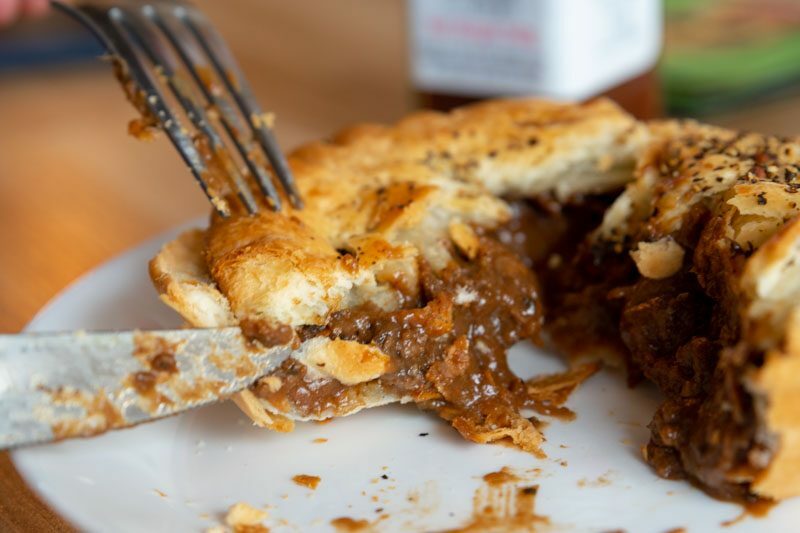 The pastry itself wasn’t flaky at all and had a bland doughy taste, while the meat filling, while gamey from the small, astringent and tough bits of beef, was overall very one-dimensional. It came as no surprise as the food at Canjob Taproom is microwaved. 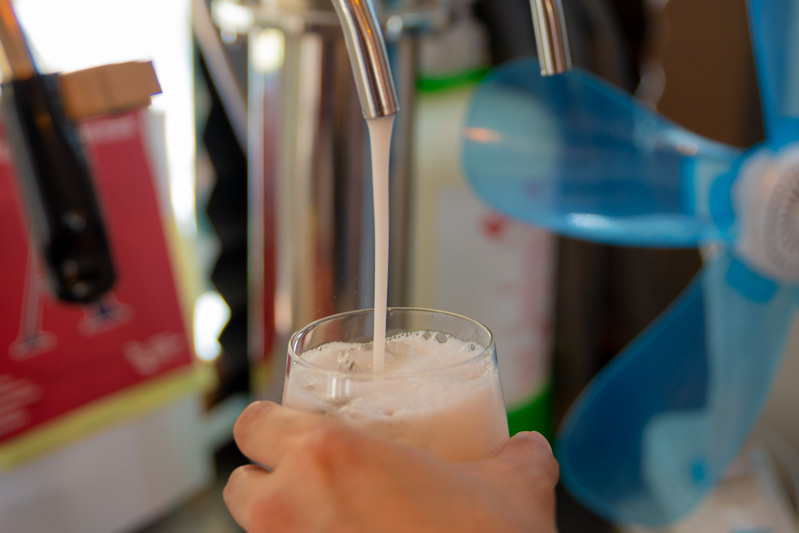 Canjob Taproom is ingenious in its offering of a novel way to take away your drinks. 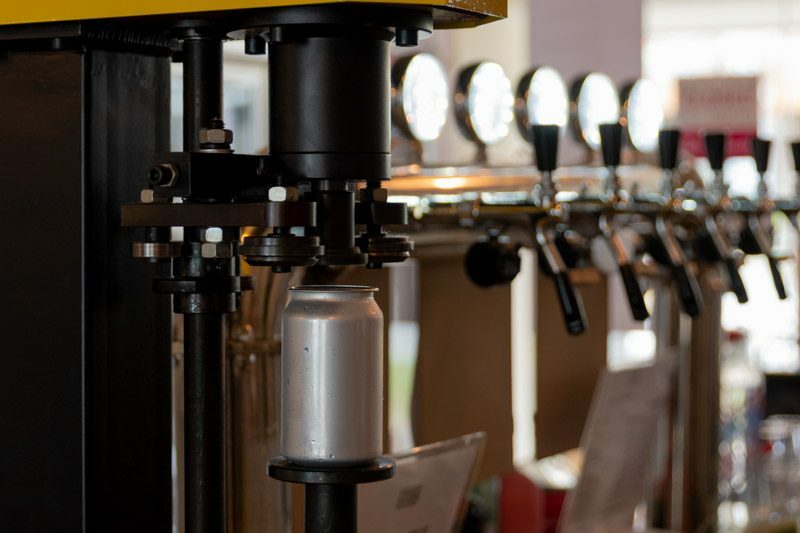 Furthermore, a wide selection of craft beers, both canned and on tap, is sure to satisfy most beer aficionados’ demands. While the food isn’t spectacular enough to warrant a trip down just to taste it, they are good complements to the drinks on offer. Definitely give Canjob Taproom a try at least once in your life!